Reduced-fat peanut butter. Taking out the fat leaves the peanut butter pretty tasteless, so to fix that, the manufacturers add sugar. Sometimes lots of it. Plus, most of the fat that occurs naturally in peanut butter is the “good” kind: monounsaturated. Salads. Certainly greens and veggies are healthy. But salads, especially when you order them in a restaurant, can be full of unhealthy things like lots of cheese, fatty dressings and croutons. Plus the portion sizes are gigantic. Stick to the good stuff, and ask for any add-ons – including dressing – on the side. Then use sparingly. Smoothies. Again, the problems are add-ons and portion size. 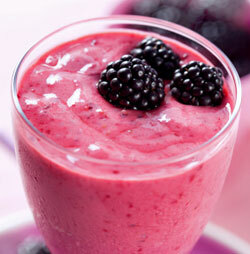 Most smoothies start with a low-fat dairy and fruit. So far, so good. But store-bought smoothies often add things like ice cream, chocolate chips and sugar. And the smallest size you can buy is often 16 ounces or more – making a smoothie more of a meal and less of a post-workout pick-me-up. Energy or protein bars. The key here is to check the calories and sugar content, because they vary considerably among bars. A true energy or protein bar is low in calories and sugar and high in protein and fiber. The other kind is basically a candy bar. Granola. It sounds healthy, but don’t start chowing down on it by the handful. First, the recommended serving of most granolas is about ¼ cup, which makes it more a topping for yogurt and less a snack by itself. Also, avoid granolas that are heavy on sugar, chocolate, peanuts and other add-ins. Packaged lunch meat. Lean meat like turkey and chicken are healthy, right? Not necessarily. The culprit is sodium, and most packaged lunch meats are loaded with it. Check the label. Sports drinks. Sports drinks have electrolytes and calories, which you need if you are training for a marathon or roofing a house in August. You don’t really need to replace electrolytes if you are watching the game instead of playing. And many sports drinks have as many calories as regular soda. Canned or bottled fruit juice. Most fruit juice is naturally sweet, but many brands remove much of the real fruit and add water, sugar and artificial flavors. Read the label; you want 100 percent juice, and even then limit how much you drink.